* In October 1875, the Prince of Wales set off on a four-month tour of the Indian Subcontinent, visiting over 21 localities, which today encompass India, Sri Lanka, Pakistan and Nepal. 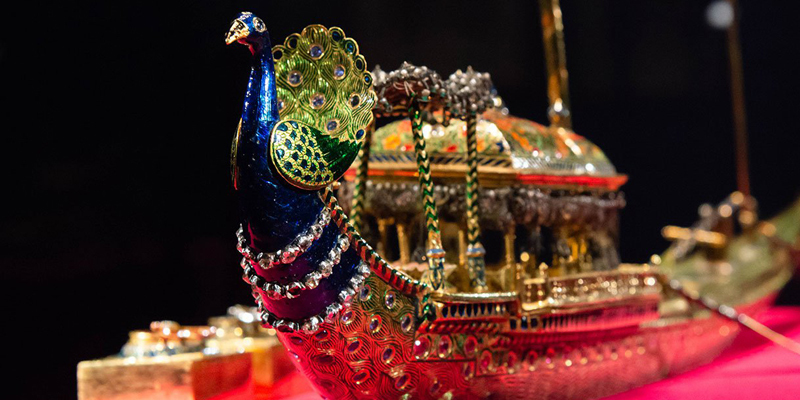 A Prince’s Tour of India 1875–76 tells the story of this grand tour through some of the finest Indian treasures from the Royal Collection, which were presented to the Prince during his visit. * The Royal Collection’s group of South Asian paintings and manuscripts contains some of the most important and well-preserved examples in the world. For the first time, highlights from this superb collection will be brought together in an exhibition at The Queen’s Gallery exploring the long-standing relationship between the British Crown and South Asia. From illuminated Mughal manuscripts and exquisite natural history paintings to modern masterpieces and vivid depictions of the Hindu pantheon of gods, the works of art on display will span a geographical expanse from Kashmir to Kerala and a period of more than 400 years.